Dynamic Performance and Therapy: Who makes up your Olympic Team? 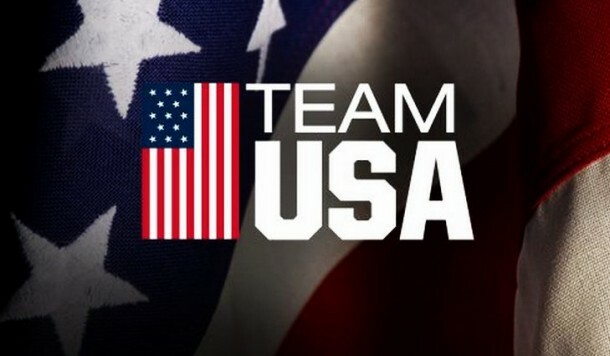 Who makes up your Olympic Team? Similar questions were also brought up in London when Kerri Walsh-Jennings came out with this new flashy tape on her shoulder. While most of these questions in social media have been answered I think that it is more important to bring our focus back to what is going on “behind the surface” with these techniques and where our Olympians truly find their success. When looking at success Kerri Walsh Jennings points out it truly takes a “village” to be successful in the Olympics. While her KT tape helps her shoulder pain and overall performance this still is just one piece of the puzzle. So who makes up this Olympic Village? Well first and foremost is her family ever providing her the support both physically and mentally. As we all know… everything in our life truly revolves around those closest to home. This also means the support for our loved ones mental and physical health. Don’t forget to be an advocate for their health and ask they be one for you as well!!! Once we step out the doors however, we must look to those in our village. Education Profession Role Medical Doctorate –Physician (MD/DO)Every individual’s health is overseen by the physician in directing the individuals medical care and health. Previously physicians were only sought out when one was sick our dying. Today’s physician is here to help you prevent the onset of disease and treat you with more medical treatments including medication, injection and/or surgery after all conservative measures have been expended. Historically the physical therapy profession in the States has been found in the medical system. Internationally, however Physiotherapist are considered your Musculoskeletal experts much like a Dentist is for your teeth, your PT is for your overall body including muscles, bones and joints. Because of this PT’s have really grown into that profession that bridges Traditional Medical Care with Alternative Cares. PT’s will utilize a variety of tools tailored to your bodies needs to both help prevent injury as well as overcome these as well. Traditionally thought of an alternative health provider falling outside of the medical profession. Chiropractors are commonly known for completing spinal adjustments in the treatment of common joint restrictions that can develop through training or repetitive activities. These can be commonly used in trying to prevent further injury or to decrease muscle and joint pain. Bachelor’s -Athletic Trainer (ATC) Considered the in-season right hand man/woman to the athlete as they serve an integral role in keeping the athlete in competition. Our ATC’soften put in more time for our athletes coming in prior to practices and staying for long hours after competition helping prepare the athlete again for the next battle. Depending on the setting some ATC’s also work with athletes in performance and training programs in the prevention of injuries. Associates -Massage Therapist Another common alternative health care provider falling outside of the traditional medical system. Known primarily for their hands and working on relaxing muscles to reduce muscle tension and tightness. We all know how good these can feel and often help in recovery as well. Certificate -Strength and Conditioning Specialist / Personal Trainer Personal trainers can come in all different sizes and backgrounds all however with a common goal -To assist you in gaining some of your goals in weight loss, exercise and overall health. Without a background in medicine, personal trainers work with a variety of medical professionals in creating a program to help optimize your health, wellness and performance. While you may not be training for the next summer or winter Olympics you can still be your best and “Surround yourself with amazing people” to make being “HUMAN” more like being an “OLYMPIAN”. Dr. Haberl is a dual credentialed provider as a licensed physical therapist, licensed athletic trainer and certified strength and conditioning specialist serving individuals health needs in both the medical and private practice settings.